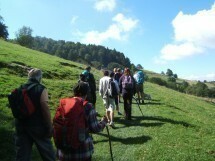 We will walk on the foothills of Mount Salève. The objective is to practice a gentle hike! A walk with 300 m of height difference, and 8-10 km is available for walkers.